Jesse Marquis of St. Francis reads a statement to the judge and family of Amy Theriault before his sentencing Wednesday in Caribou Superior Court. He was sentenced to life in prison for killing the 31-year-old mother of two in 2014. Jesse Marquis (center) and his defense attorneys Steven Smith (left) and Dan Umphrey watch as jurors file into the courtroom on June 17 before announcing their guilty verdict in Marquis' murder trial at the Aroostook Superior Courthouse in Caribou. CARIBOU, Maine — A St. Francis man convicted of murder for brutally stabbing and shooting to death a 31-year-old mother of two was sentenced Wednesday to life in prison. Marquis, who will turn 41 later this month, stood stoically with his head down as the judge pronounced the sentence. More than 50 friends and family members of Theriault were in attendance, and the somber, quiet courtroom suddenly erupted in cheers and clapping as Hunter sentenced Marquis. “Justice has finally been served,” Theriault’s mother, Barbara Theriault, said after court adjourned. “This has been a long and difficult journey. Justice is not easy. The process is long, and the stress involved with our family going through this has been enormous. “The judge got the right verdict and the right sentence, and we are very pleased,” she added. 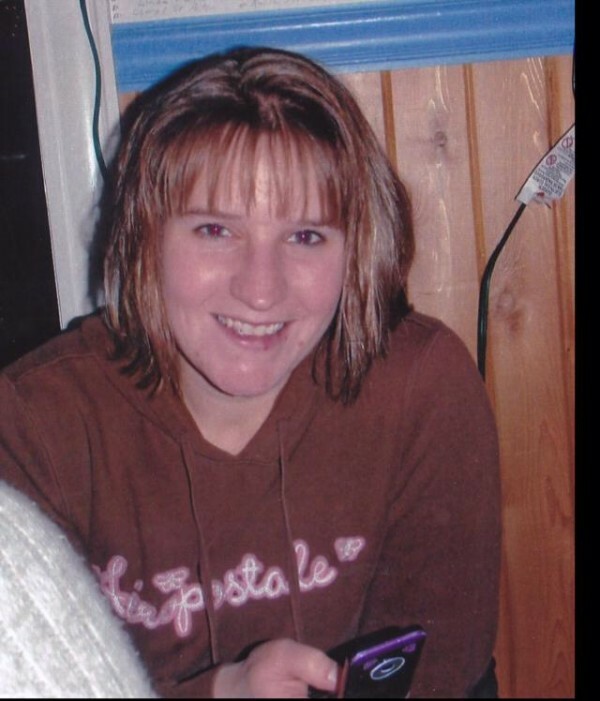 Six of Amy Theriault’s family members, including her daughter and mother, addressed the court or had impact statements read for them before the sentencing. Marquis, who did not testify during his trial, addressed the court before he was sentenced. Marquis faced a sentence of 25 years to life for killing Theriault, whom he had been dating for more than a year. John Alsop, the assistant state attorney general who prosecuted the case, said Wednesday that under Maine law, Marquis could be sentenced to life because the homicide was premeditated and the manner of death was extremely cruel. Hunter agreed, referring to the “extreme cruelty” of the killing and stating that he believed Theriault “was conscious at least initially” when Marquis attacked her in the bedroom of her home on the morning of the murder and stabbed her 11 times before shooting her at close range. The judge also said he believed the murder was premeditated. “He knew the day before Ms. Theriault intended to end the relationship,” Hunter said. After four days of listening to attorneys and testimony last month, jurors took just over an hour on June 17 to find Marquis guilty of killing his ex-girlfriend, in anger, according to the prosecutor, over the impending breakup of their more than yearlong relationship. Two friends, concerned for Theriault’s well-being, slept over at her place the night before the murder and testified during the trial that Marquis entered the home during the early morning hours of May 31, 2014, and went into her bedroom carrying a knife. One of the witnesses, Jamie Pelletier, called 911 at 5:45 a.m., and during the call reported to the dispatcher that she heard a gunshot coming from Theriault’s bedroom. Moments later, she said she saw Marquis leave the home carrying a gun. The grand jury indicted Marquis on the murder charge in July 2014. Prosecutor Alsop called 16 witnesses to the stand during the trial, including forensic experts and a state medical examiner. Defense attorneys Stephen Smith and Dan Umphrey rested their case without calling a single witness. Marquis has been incarcerated at the Aroostook County Jail since his June 2014 arrest. Attorneys for the defense, Dan Umphrey and Stephen Smith, did not request a specific sentence for Marquis on Wednesday, but cited two other murder cases in which the perpetrator received less than a life sentence. “We simply don’t think the state has shown sufficient factors for a life sentence,” Smith told Hunter. Smith and Umphrey were not available immediately after sentencing as they were conferring with Marquis. 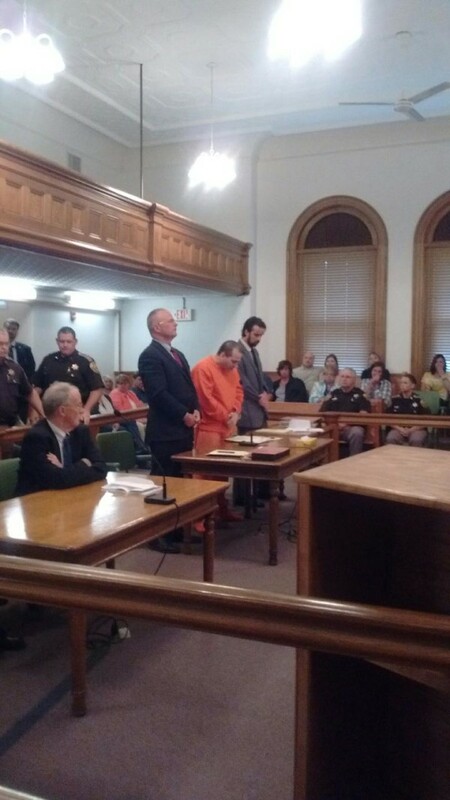 Umphrey said in June after the trial, however, that the defense attorneys were planning to appeal the verdict. Marquis has a history of violence. He previously had been charged with two counts of domestic violence in connection with an alleged attack on Aug. 11, 2011, against his former wife and her adult son after a night of drinking at a Fort Kent-area bar, according to court records. The wife also was granted a protection from abuse order before the case was resolved. One count of domestic violence later was dismissed and the second count amended to a single charge of assault, for which Marquis was convicted June 21, 2013, in Fort Kent District Court. He served seven days in the Aroostook County Jail, and he was ordered to pay $300 in fines and to seek counseling. The two divorced in March 2012 after 11 years of marriage. “My sister’s life was stolen from her,” Dubois said. “Let this sentence serve as a reminder to perpetrators of domestic violence that we will no longer tolerate this behavior,” she said.